Janelise Gastell graduated from Stetson University with a B.A. in Business Administration. Ms. Gastell received the “Dean’s List” throughout her years at Stetson. Ms. Gastell went on to Florida Coastal School of Law to earn her Juris Doctor. Ms. Gastell interned with the Department of Children and Families and then Community Legal Services of Mid-Florida. Ms. Gastell began her career in a small private practice, focusing primarily on family law. 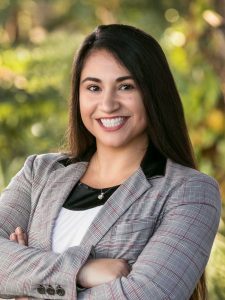 She then began employment with Community Legal Services of Mid- Florida specializing in Family Law, Housing, Consumer Law and Public Benefits. Ms. Gastell participated and coordinated many outreach events and clinics, promoting access to justice by providing civil legal aid to help low-income people protect their livelihoods, their health, and their families.